I absolutely love the 3 day apple diet or the mini detox diet, as I like to call it. It does so much good in such little time. So if you want to cleanse your body and shed some unwanted pounds in as little as three days, then take this three day challenge and get totally energized. 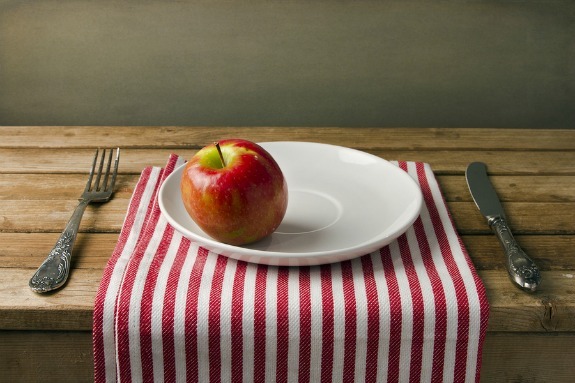 Every four months I do this apple diet to re-energize my mind, body and spirit and the best part about this program is that it does not require a long term commitment. It's only three days and you can eat as much as you want, well as many apples as you want. It's possible that you've heard of this program before. Whether people are promoting it for weight loss or a way to help detox the body I'm sure the thought was inspired by Edgar Cayce. Edgar Cayce (born 1877- died 1945) was an American who dabbled in many subjects such as reincarnation, religion, was considered a mystic clairvoyant (psychic), but most importantly dedicated much time for healing the sick. Well, regardless of where you have heard or read about the apple diet all I can say it's a great tool to promote quick weight loss and cleansing. Last time I did this diet I lost 8 pounds. I love this cleanse. How can you beat losing 8 pounds in as little as 3 days. Though Cayce created this 3 day program as a way to help detox the body, many people use it for a fast and easy way to shed some unwanted pounds. This diet helps detoxify our bodies and can be done several times a year. First, you will need to purchase some apples, organic apples if possible would be the best choice. Cayce recommends buying "jenneting" apples, which are apples that ripen early in the season. Two varieties of this type are Delicious or Jonathan. You can use other types of apples too, as all types are beneficial for this program. I often use Honey Crisp or Fuji as those are my favorites. So for 3 days eat only raw apples. This can be considered one of the major pluses of this program is that you never have to worry about meal preparation, or cooking, or being hungry because you can eat as many raw apples as you wish. This has to be one of the easiest weight loss cleanses I have ever done with absolutely fantastic results. One question that is quite commonly asked is should the apples be peeled before eating them? If you bought organic apples, then the peel is fine to eat, though non-organic ones must be peeled before eating. Before going to bed on the 3rd (last) day of the diet, it is recommended that you drink half a cup of extra virgin olive oil. This helps with the removal of toxins from your body. Drink plenty of distilled water that is room temperature. You can also enjoy warm herbal teas with nothing added to it. Drink liquids only at room temperature or mildly warm as this works best detoxification. All this should be no problem as it's only for 3 short days. Also Malic acid and pectin fiber help clean the intestinal tract and leach toxins from the blood stream that may reduce muscular pain and may help those who suffer from fibromyalgia. If your job entails hard physical labor throughout the day, this diet will probably not be good for you on those heavy work days. For those of us with less physical jobs this 3 day apple diet should be no problem. If you can only spare the weekends for this diet that is good too. Since this is actually a fast your body will go into detox mode. As the toxins from your liver, kidneys and other organs release these toxins into the bloodstream you may feel a little irritable, more so on the second day. You may also experience headache. At the end of the apple diet most people feel great, more energized, clearer mental clarity, physically stronger. Not only that we know when we help the body eliminate toxins that in return helps us fight and prevent disease. So if you feel that you can manage three days for this detox, then grab a bag of apples and a couple jugs of distilled water and give it a go. For more information about apple nutrition click here.